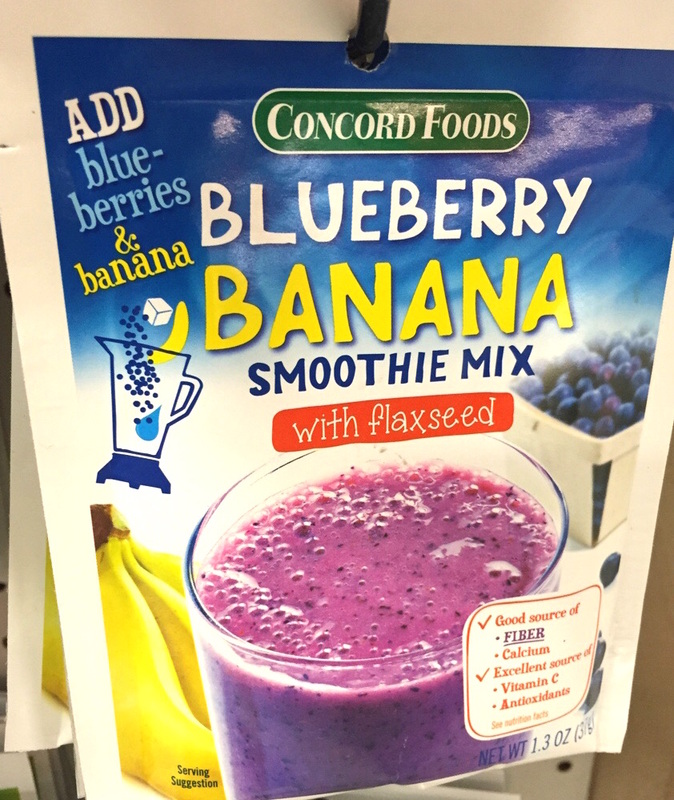 TYWKIWDBI ("Tai-Wiki-Widbee"): Want a "blueberry banana smoothie" ? How could anyone think that was a good idea? What's next chocolate chip cookie mix where you just have to add your own chocolate chips? if you can figure out how to package fresh bananas and blueberries, and make them stay fresh and edible and tasty for an extended period of time, then you are a better blog reply poster than i. All reminds me of "dehydrated water--just add water." This related amazon product claims to contain: Sugar, corn syrup solids, nonfat dry milk, natural and artificial flavors, xanthan gum. So two sweeteners, flavors, and two thickeners.